We are now taking expressions of interest for a new class opening Wednesdays 4.15pm-5.00pm in Term 2! A special Singing & Music course designed for students 4 to 6 years of age, our class helps young children explore and discover singing and music in a fun and friendly environment. Learning through discovery, students will play fun games, participate in unique activities, and learn the foundations of music theory, develop their aural skills, and perform wonderful repertoire. 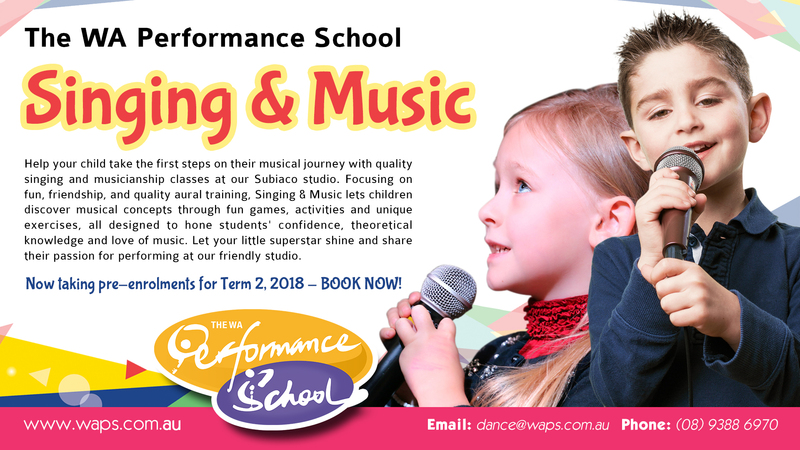 To find out more about our Singing & Music course, or register your interest for Term 2, please contact dancea@waps.com.au.